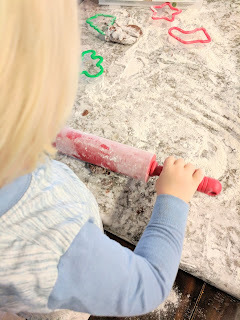 2 - Roll out the dough. Pro tip: sprinkle a little flour on your counter or cutting board so the dough doesn't stick. 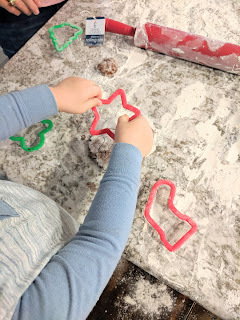 3 - Use your cookie cutters to cut out fun shapes, and gently use your straw or pencil to poke a hole through the top for string. 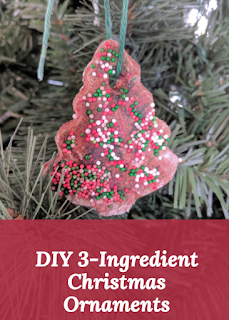 4 - Gently dab a little water on the ornaments before adding sprinkles so they stick better. 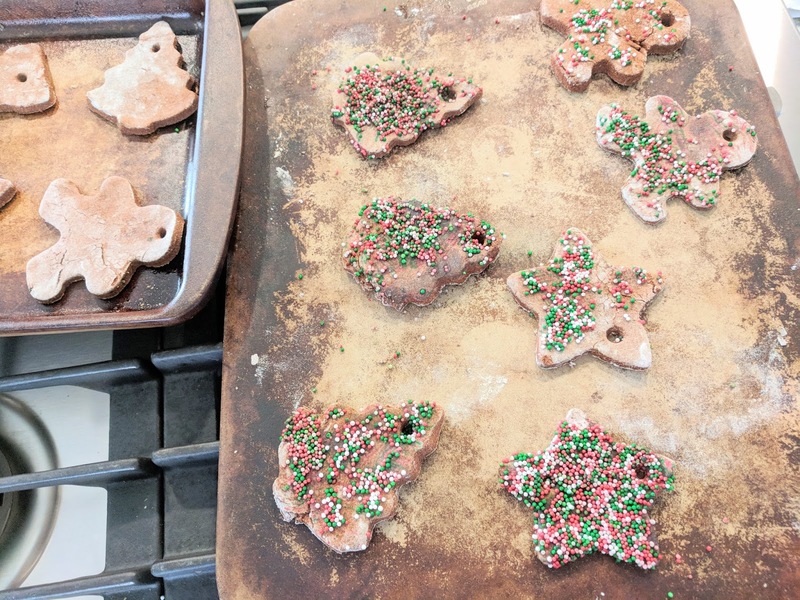 We lightly pressed the sprinkles into the ornaments. You can also use frosting to decorate. I stayed away from this since I knew my son would want to eat it all! 5 - Place ornaments on parchment lined baking sheet, or you can use a pampered chef pan. Preheat oven to 200 degrees and bake for 1 hour. Let cool (they may be a little soft so let them sit and harden) and attach string for hanging. Have you ever tried making your own ornaments? If so, which ingredients did you use? Would love for you to share in the comments below! Sounds like a fun craft for the holidays. My kids love to do arts and crafts projects during the holidays. This is an idea that would capture their attention for sure! These look like so much fun. 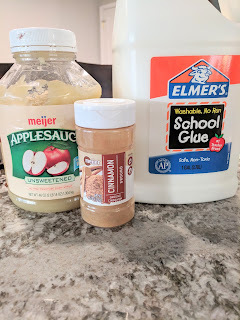 I've made many ornaments as a teacher, but one with food ingredients (at least I don't think). 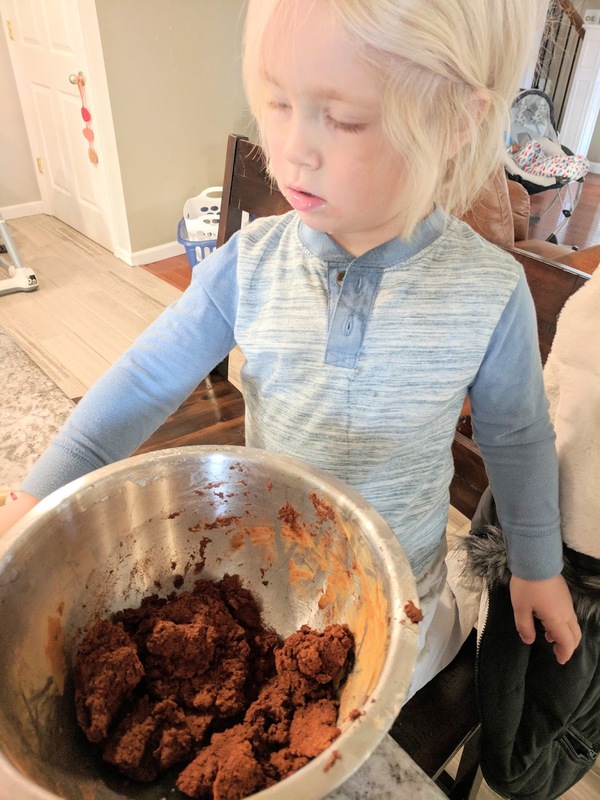 We will have to check this recipe out. I was decorating the tree and the one my niece made for us last year broke in half so I will have to have her try this recipe.